Today we began to assess the damage to BK25.1123 and restore her to her former splendour. Firstly we interrogated the R-DAS flight computers and as expected the data does not shed any additional light on the recovery issue. Both devices correctly initiated their pyros at apogee, confirmed by an acceleration spike of around 10g, read by the on board accelerometers. We are not going to focus any more effort on trying to discover what occurred and simply put it down to a case of bad luck. We can report that BK25.1123 achieved an altitude of 3,235ft (986m) and a top speed of 327mph (146m/s). This is slightly higher and faster than the Nov 2017 launch, but comparable as expected. We have decided to completely strip BK25.1123’s paint to bare material, complete repairs (including plugging all holes and marks which pertain to the operation of the rocket at this scale, e.g. the rotary switches in the band on the electronics bay) and then restore the livery to an even better standard then before. In short, she will be even more representative of a full scale Black Knight. BK25.1123 will never launch again, but will serve as a datum for us to work to with BK26. She will also be a display piece for our various displays and presentations in the run up to (and we’re sure long after) BK26’s launch. Today we began stripping the paint. We spent some 5 hours using paint stripper, acetone and soap and water. BK25.1123 was launched at 1705BST this Saturday, 15th September at the Midland Sky launch event at Norton-Juxta-Twycross, Leicestershire. The launch was a spectacle of the awesome majesty of the Black Knight. However it wasn’t a perfect trial. There was an unexplained anomaly in the recovery system at apogee. 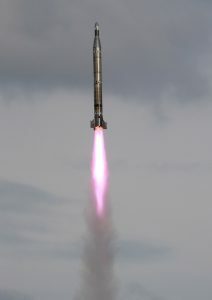 Drogueless separation (which worked in ground trials, and the previous firing) failed despite both the primary and redundant pyro both initiating correctly. The rocket came to a stop at around 3,500ft (as planned), turned over and in the absence of a separation event and consequently a stable configuration, promptly began accelerating back to the Earth (definitely not planned). At something like 250mph and 800ft in altitude, the main primary and redundant pyros initiated as per the mission profile (for the altitude at least); bringing the chute out to a dead stop in a microsecond and probably ~10,000g of instantaneous shock. At the forward end of the rocket the parachute took all the brunt of the deceleration and tore apart as it inflated. The nosecone and forebody, saved by the damage to the parachute, were unscathed and descended under a flailing canopy to a gentle(ish) touchdown. Whilst the parachute was shredding apart, the fincan/forebody joint, that should have separated at apogee, was catapulted apart and the bolts attaching the shock cord to the fincan were ripped through the internal bulkplate. The fincan then plummeted some 600ft, to a hard landing which caused significant damage. We are yet to interrogate the flight computers and obtain the exact flight details, such as max altitude, speed, etc. Perhaps these data will yield an answer as to why she didn’t separate at apogee on this occasion. Unfortunately we shall probably never know for sure what caused saturday’s anomaly. The recovery system on BK26 will be completely different and so there is no chance of replicating this failure in the subsequent design… but this doesn’t make it feel any less painful to see our beautiful creation in her current state. When deciding on a name for our team we looked for inspiration to the Black Knight program. Black Knight had been used to study re-entry phenomena under joint UK/US/Australian programs named Gaslight and Dazzle. These came to an end with the launch of BK25 in November 1965. A new program code named Crusade was planned to follow-on from Dazzle with launches of an enlarged Black Knight scheduled up to BK30. Unfortunately Crusade never progressed as HM Treasury declined to fund further Black Knight projects. While we are not focused on the larger Black Knight (yet….) we thought that using the name Crusade would be another tribute to this early and extremely successful UK rocket program. So, Crusade Rocketry it is! The Crusade Rocketry team are pleased to announce that we will be making another launch of the 1/9 scale replica of our Black Knight, aptly named BK25.1123, at the Midland Rocketry Club (MRC) Midland Sky Rocketry event (15-16th September). Our plan is to launch the rocket in a similar vein to last November’s launch… on a cluster of 4 motors to again test the static stability of the rocket and build confidence that the configuration is correct for our full scale BK26 (~40ft). This time we will be using a combination of two red and two blue motors for an aesthetically pleasing effect and we will also be entering BK25.1123 into the event’s scale model competition. All spectators are welcome at a cost of £1 per person (MRC event fee). We plan to launch on Saturday 15th after lunch (~13:00) but this will be dependent on a number of factors and so could be subject to change. Many are unaware of the strides made by the early British Space Program which started in the 1950’s. One of the launch vehicles developed at that time was the Black Knight which was first launched in September 1958, with a total of 22 being launched before the program was cancelled. 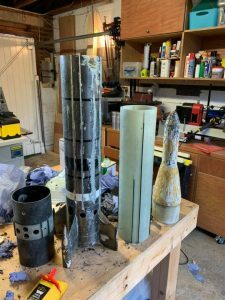 The Crusade Rocketry team is planning to build and launch a 1:1 scale replica of the two-stage variant of the Black Knight Rocket from the UK (designated BK26). Our journey to build the replica, culminating in a spectacular launch, is intended to honour the legacy of the British Space Program as well as inspire young people in education to pursue STEM subjects which are so important as they prepare themselves for the rapidly evolving future landscape. While our Black Knight replica will not reach space, it will fly to several thousand feet and provide for a memorable experience for all who follow the project. 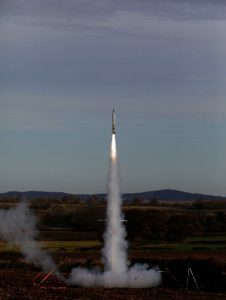 Our original target to launch our replica was to coincide with the 60th anniversary of the first launch of the British Black Knight Rocket launch vehicle – so launching on September 7th, 2018. This however has proved to be too ambitious and we have revised our goal to now launch on the 60th anniversary of the launch of BK08, the first two-stage variant of Black Knight. 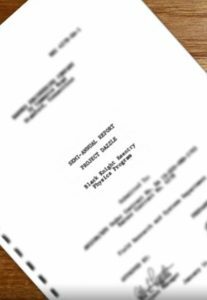 As such our revised goal for launch is now May 24th, 2020. Our main focus on the project so far has been to reverse engineer a set of plans for the rocket, as well as constructing and launching a faithful 1:9 (actually 1:8.903) scale version to better understand the flight performance. We are currently working on the detailed design and logistics for the full-scale replica. In the coming weeks and months, we will add updates to the site regarding our efforts to date, and also the construction and launch of our small-scale replica. Please use the links on this web site to find out more about us, and about the history of the Black Knight rocket.